We attempt to support the Haitian economy as much as we can. We also develop and promote long term relationships in our partnership with our Haitian friends. Radio Lumiere leadership draws up a prioritized capital projects list. Then we review it and determine what highest priority project we are able to assist with. Upon deciding on what project we are best able to partner with Radio Lumiere on, we will undertake fund raising, recruiting personnel, and procuring material for the project. Typically we work about a year in advance, drawing up a material list and budget for the project prior to securing funding and people for it. We believe it is important to expose people to training and educational opportunities, especially construction-related skills. If one cannot find a job in their present field of education or training, it is profitable to have additional work experience. We can only give exposure and some basic experiential opportunities, but this may be all that is needed to help someone make a career decision. It can open the possibility to pursue further training or to give them a skill that can be used to earn a living. We also review training opportunities as they arise to help Radio Lumiere employees (or prospective RL employees) further their education so as to increase their skill set for the benefit of Radio Lumiere. This is a win-win situation. There are many aid agencies and NGOs in Haiti. Many are doing good work in various areas. However, many agencies decide what they think the priorities are and not what the Haitians think that the priorities are. Some end up just giving hand-outs. Others do their work and leave without their hosts ever having an opportunity to partner, participate, and call ownership to the initiative. 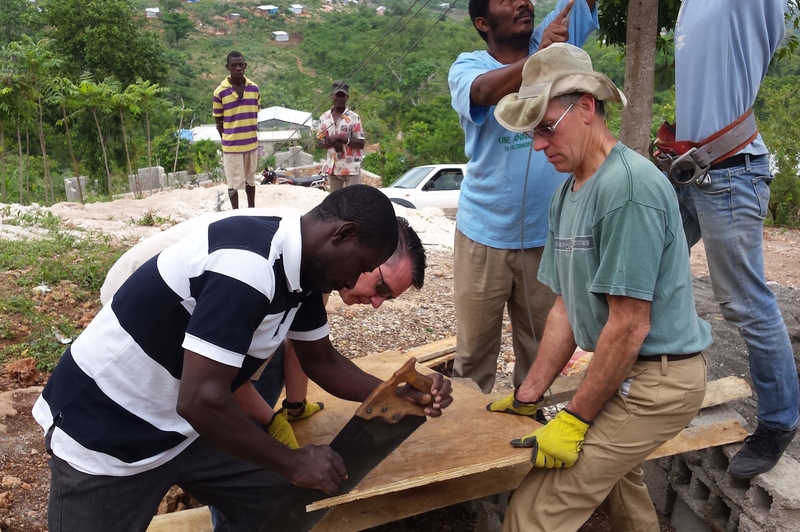 Many groups send mission teams to Haiti for short term projects. The participants go once for a short defined length of time and then move on to their next adventure. While this is laudable, we believe that this approach is not a model of sustainability. We strive to do and be different. 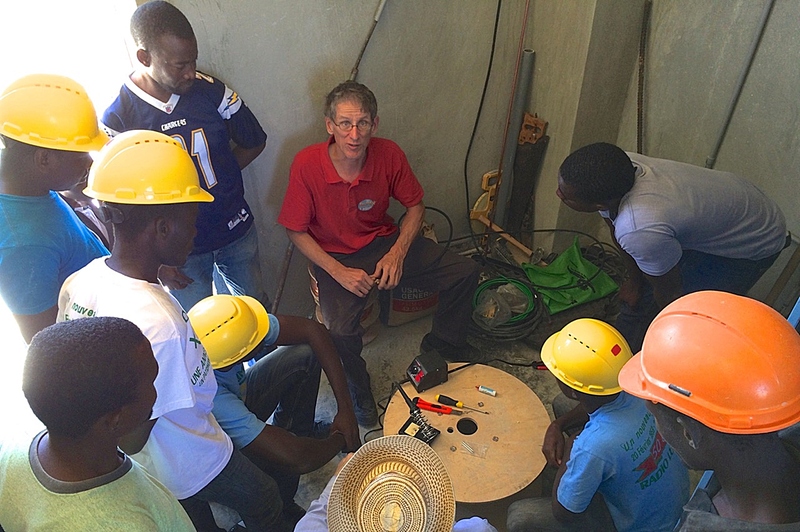 We build personal relationships with the Haitians who we work with and for. We promote those relationships by keeping in contact with them long after the project is done. By having a long-term relationship with Radio Lumiere and MEBSH this lends itself well to building those relationships. We attempt to purchase, where reasonable and practical, as much material and services in-country as we can. We use locally manufactured or sourced products and choose to use local labor instead of imported machinery. We see this as a mutually beneficial endeavor. Our Haitian friends are exposed to opportunities that typically might not be experienced; and the same can be said for our team participants. While some of our work team personnel change from project to project, we are continuing a good work for our beneficiaries in Haiti while our team participants enjoy a life-impacting experience knowing that they are making a tangible long-term difference for our Haitian friends.